ZNAPS has created a new smartphone magnetic connector adapter of the same name that makes it easy to transform your mobile devices charging port into a magnetic connection, for just $9. 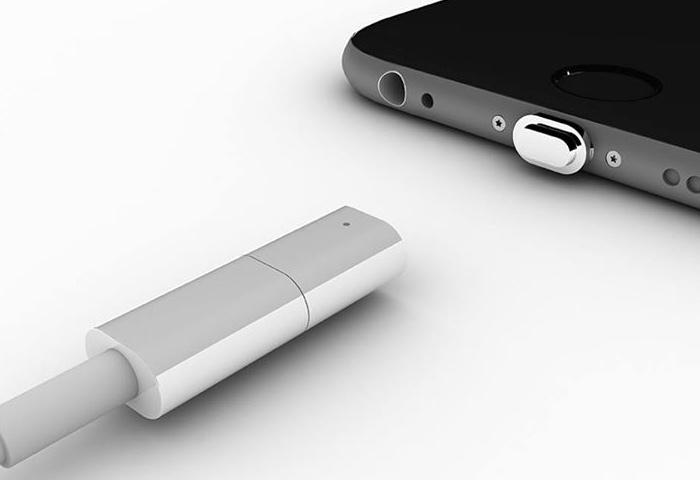 The simple device uses an adapter that is inserted into your smartphones charging port, that is equipped with a magnet. A second adapter is then added to the end of its charging cable and connects to the first via magnets. The magnetic connection adapter supports both iOS and Android offering both micros and Lightning connections, and is now available to pledge for over on the Kickstarter website from just $9. Watch the video below to learn more about how this simple magnetic connection for your smartphone functions. Let’s make charging easier! ZNAPS is a simple yet perfect solution to prevent frayed charging cables, tripping over cable resulting in smashed phones, pointless fiddling to plug in cable in the dark, water damage through charging outlet, and more! This innovative magnetic charging adapter will make your life just a bit more convenient. ZNAPS supports charging process as well as data synchronization and it’s designed for both Lightning cable (iPhone) and Micro-USB cable (Android). ZNAPS is a minimalist’s dream come true and perfect for those who love to accessorize. Thanks to our specialized micro-connector, ZNAPS is so small it will fit into any custom phone case so you don’t have to ditch your favorite phone cover. For more information on the new ZNAPS connection jump over to the Kickstarter website for details via the link below.